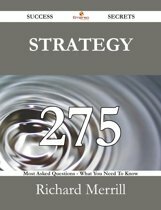 Developing and implementing a strategy is the central task of a leader. A good strategy is a specific and coherent response to—and approach for—overcoming the obstacles to progress. 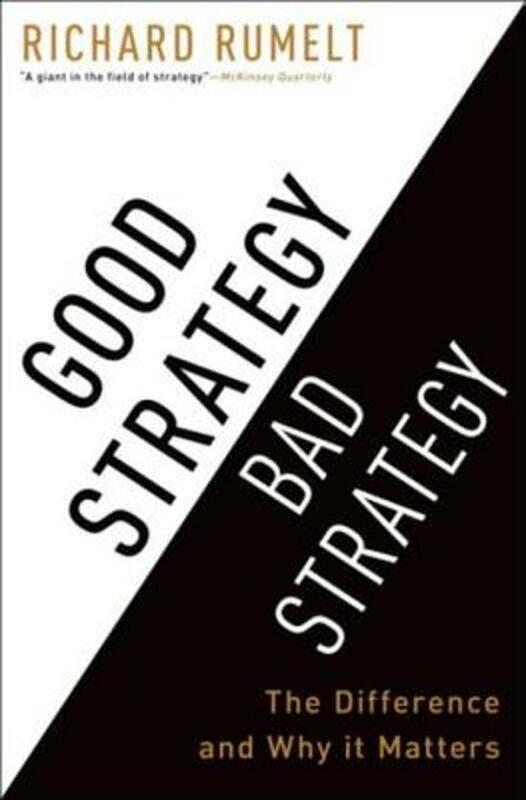 A good strategy works by harnessing and applying power where it will have the greatest effect. Yet, Rumelt shows that there has been a growing and unfortunate tendency to equate Mom-and-apple-pie values, fluffy packages of buzzwords, motivational slogans, and financial goals with "strategy." 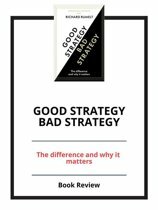 In Good Strategy/Bad Strategy, he debunks these elements of "bad strategy" and awakens an understanding of the power of a "good strategy." He introduces nine sources of power—ranging from using leverage to effectively focusing on growth—that are eye-opening yet pragmatic tools that can easily be put to work on Monday morning*,* and uses fascinating examples from business, nonprofit, and military affairs to bring its original and pragmatic ideas to life. The detailed examples range from Apple to General Motors, from the two Iraq wars to Afghanistan, from a small local market to Wal-Mart, from Nvidia to Silicon Graphics, from the Getty Trust to the Los Angeles Unified School District, from Cisco Systems to Paccar, and from Global Crossing to the 2007–08 financial crisis.